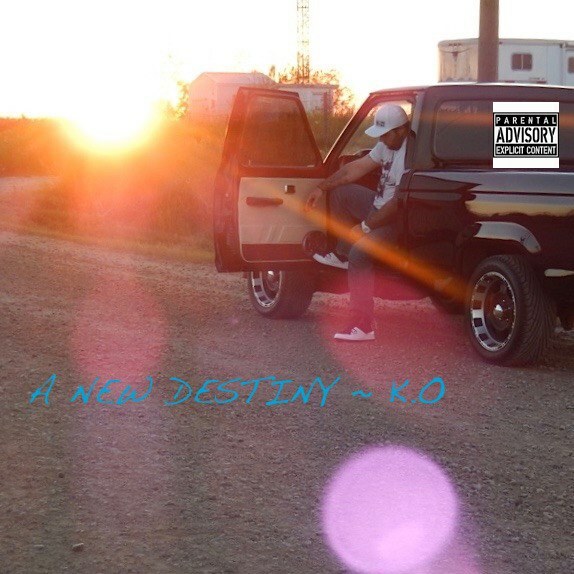 Listen to “A New Destiny” by K.O. K.O. is a Canadian emcee who is getting his first album review on the website. Eager to learn and grow, his confidence behind the microphone gives him an edge that many emcees are missing early in their careers. I’m ready to take a listen to A New Destiny and find out what K.O. has in store. Get your copy of The NoShoes and JimSquints Variety Show by NoShoes and JimSquints here. The opening track for A New Destiny is a pretty solid start to the album. K.O.’s flow gets a little choppy here and there, but it’s pretty smooth overall. He makes some contradictory statements that have me a bit confused, otherwise the content sticks to the topic. The concept behind “Bugatti” is definitely not an original as most Hip Hop artists have a song that falls in line with this track. “Looking at the bottom but yeah we not under there” is a line that will likely have the faces of listeners contorted with confusion because you can’t get under the bottom. The wording of K.O.’s phrases from time to time, throughout the album, causes me to wonder if K.O. took the time to revise and revisit his lyrics between the writing and recording process. As much as I would like to say the hook is catchy on this track, the fact is the hook really isn’t catchy and that’s because I can see many hip hop heads deciding to skip right past this track before the end of the first listen. I like how K.O. seems to do a great job of capturing the emotion in the instrumentals and pushing those emotions out through his lyrics and delivery. He also seems to have a lot of confidence in his delivery, which is a very good thing. Alicia Renee blesses this track with her lovely voice on the chorus. K.O. spits his verses with bars that appear to be directed to God in the style of a prayer. The end of the First verse confuses me because K.O. says “it’s a sad tale but now I’m feeling right”, however the following verses don’t support his claim of feeling right, especially the last verse, which portrays K.O. contemplating suicide or possibly following through with the act. Overall, K.O. paints a vivid picture, but I feel the confusion from the apparent contradiction and choppy areas in his flow take away a little too much from the track. This is one of those tracks that leaves me like Ehhh… by the time it ends. The hook rolls with the beat fairly well. The verses don’t really contain any jaw-dropping lines, although that’s what K.O. is shooting for with attempts to connect with punchlines left and right. Bragging tracks can be found on nearly every hip hop album that has ever been released, which means an emcee really has to bring some clever content to stand out from the rest. For some reason this track was not included in the album’s ZIP file that was sent to me. I will edit this part of the review when I am able to listen to this track. Contrary to what the track’s title would have you believe, K.O. doesn’t actually tell any cold stories in this song. He tells the audience that friends become foes, girls become hoes, and money comes and goes, but doesn’t tell how any of that happens, exactly. Based on the song’s title, this was one of the tracks I thought K.O. would capitalize on connecting with the audience, but K.O. needs to realize the explaining the situation that generates a certain feeling is more powerful and reliable for listeners than to simply state that certain feeling. “They jumped me from all sides, kicking and punching me into blackness” is a more powerful statement than saying “I was jumped by five guys”, for example. Alicia Renee’s beautiful voice blesses this track to start things off. After the first few lines, K.O. says something that leaves me baffled. “My brain is gonna blow on my spleen”. As the first verse comes to a close, K.O. seems to want to move past his feelings involving a female he was once with as he says “it’s time to let go”, but just a couple of bars later, K.O. is telling us he is determined to win her back. The second verse continues expressing his desire to win her back (he even rhymes back with back three times). As the song comes to a close, I feel K.O. should’ve spent more time on his lyrics, and maybe tried explaining what happened to give the audience more to relate to as they listen to the track. I’m feeling the best for this one. K.O. relies heavily on repetition to get this track stuck in the mind of listeners. His flow is really choppy in this one and he doesn’t have any real direction with his lyrics as he spits lines of randomness, leaving his audience without a clue where he is going from one bar to the next. “Authentic” could benefit from a complete makeover. After hearing the album in its entirety a couple of times, I personally feel like the sentimental tracks K.O. has made for his ex should have been pulled from this album and put together as a separate project altogether. The feeling of the tracks just seem out of place from the rest of the album, and vice versa. That’s just my opinion, though. “I wonder if you wanna be in love with me too” is definitely a line people will relate with, as a lot of people seem to invest their feelings in someone that doesn’t seem to share the same feelings. A lot of emotion comes through on this track, which means on repetition a little more than it should. Fudge lends his talents on a catchy and we’ll written hook. K.O.’s flow, I hate to admit, does not seem to pair well with the beat, especially during the first verse. Other than self-hype, this track doesn’t seem to have a particular direction. I feel this is one of the strongest tracks on the album. That being said, K.O. could have really opened up on this one, especially with the hook that Fudge laced. I’m really feeling this instrumental. K.O. feels he is so fresh that other people are going to take their last breath. In case you’re wondering, the previous sentence is written correctly. The entire idea behind this track just misses for me, making it extremely hard for me to get into this song. K.O. would benefit greatly from practicing multiple syllable rhyme schemes, but if he was able to stop rhyming the exact same word (I.e. rhyming said with said, see with see, etc. ), that would immediately show improvement. Logan Chapman does a fantastic job on the hook, though I’ll admit I would like to hear more of his vocal range. All in all, this is another track K.O. uses to express his desire to reunite with his estranged girlfriend. Honestly, “I Need Parts” feels like Pyro’s track with a feature from K.O. more than K.O.’s track featuring Pyro. That being said, this is one of the best songs A New Destiny has to offer to listeners. Pyro has a smooth flow to open the first verse, but switches to a chopper flow for the second half of the verse, losing the swag in his delivery as he talks through the lines instead of spitting his bars. K.O. attempts the same formula with the second verse. He doesn’t lose the swag in his delivery, but his bars aren’t lyrically on par with Pyro’s. Honestly, I’m still not exactly sure what “I Need Parts” means. All three verses on this track have nothing to do with each other and are not tired together by a hook that’s built into the beat. Both emcees have some choppy areas to their flows, but both bring confidence in their deliveries. Most songs have some kind of overall message, and I’m just not seeing what that message is in this track. Some rock appeal is tied into the instrumental here, which sounds fitting with K.O.’s vocals. Again, listeners will notice K.O. repeat some of the same stuff within just a few lines. The hook is fairly catchy. K.O. paints a picture of being born and raised as a country boy fairly well during the course of this track, which is one of the shortest on the album. This is more of a self-hype track than anything. K.O. doesn’t really bring any jaw-dropping material in this one. Actually, there’s more questionable lines present, such as “try to get me lemons, I’m gonna make f*cking lemonade/that makes you afraid…” I don’t know anyone who is afraid of lemonade. Again, I feel K.O. would really benefit from proofreading and editing his lyrics before hitting the booth to record, because lines like the one I quoted really do hurt the impact with the audience, whether anyone else wants to admit it or not. I really would have liked for A New Destiny to have ended with a more memorable song. K.O. drops more lines of filler during the course of this song that’s filled with a lot of bragging and not much else. Usually when an artist is blowing up in the music scene, people tend to call the artist non-stop for many different reasons. Not K.O. though, as he states “I’ve been so in a trance that I don’t see no one calling my phone”. He also feels to restate one of his lines before the actual line ends when he says “I won’t stop til I get it, know I’m gonna get it cuz I won’t stop”. There’s no hook on this track, just bragging bars that are pretty unoriginal and could use flare to light the fire K.O. is attempting to spark for the audience. When looking at this album from an overall perspective, there isn’t much to say that hasn’t been said. K.O. really needs to focus on improving his content, mainly by sticking to a centered theme for an album and stay on the topics of the tracks. Metaphors, punchlines, and multiple rhyme schemes should also be areas of focus. Honestly, it sounds like K.O. freestyles the entire album off the top of his head, and if that’s the case, then he didn’t do bad at all. However, freestyling an entire album doesn’t mean the album is good or will be on repeat in anyone’s music player, and that should be the results an artist wants. K.O. can be found on Facebook!